to complete – the first is a premiere of his new puppet play “Ramona”, the second is his personal exhibition of his works in Pushkin museum of fine arts in Moscow and the third one is publishing a book of his art. It would have been just a fascinating making off, if Rezo wasn’t such a great storyteller. 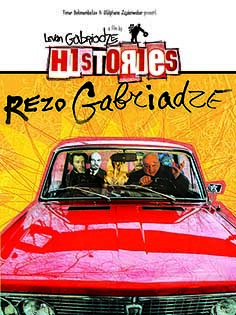 In this film Rezo tells stories about his private life and through his eyes we can see the history of the last 70 years where real and imaginary parts are mixed. Not only he tells his stories he also illustrates them with drawings that come alive.